My Sys Admin Diaries : What is App image and how to use it? 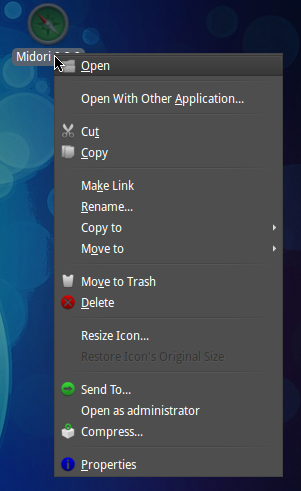 App images are new way to install our favorite linux softwares, the easy way. They are just like a .deb package which we need to double click to install it. But an App image, there is no need to actually install software. The App image contains all the needed file to run the software. So if we double click the App images, it will run the software without even installing it. In order to make it work, we need to download and App image (obviously) and then right click it -->> open properties -->> permissions.Then check "Allow executing file as a program". Then we just need to double click the downloaded App image to run it. 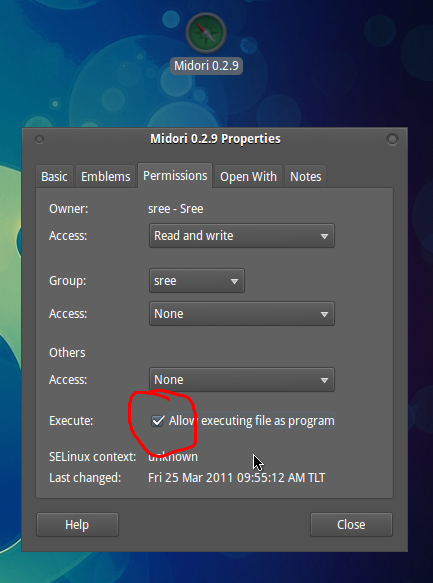 For example, you can download the App image of Midori and change permission of it to "Allow executing the file as a program" and double click it to run Midori . (photos are given at the end of the post). How easy.... isn't it? 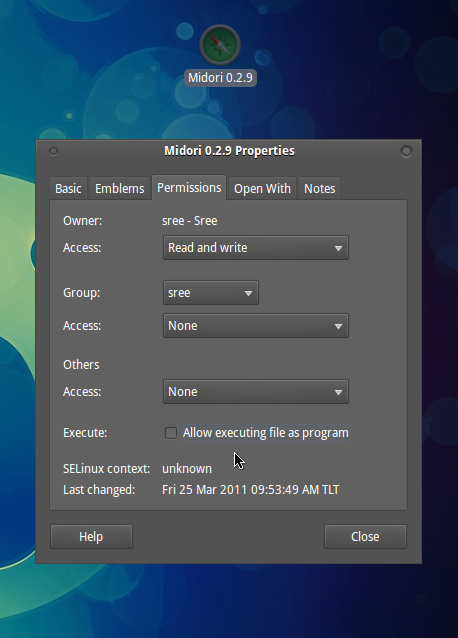 This will open Midori with all the settings you have done for your old Firefox available in your system.So now you may be thinking that where can you get one. You can download the App images from Portable Linux Apps site and try it your self. Advantage is that you are not messing with you system and if you do not like it, you can remove the software by deleting the downloaded App image. Please keep in mind that we are not installing the software through App images but we are running the software so if we remove the downloaded file, the software is removed from your computer. So you have to keep the downloaded file if you want to use it. This is a better way to try the new softwares and testing alpha/beta versions of software without installing it.